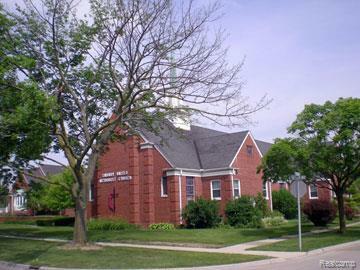 Church that is looking to share the building with other users. A church could come into the sanctuary at 11:30 AM on Sunday for services and have a mid week service. The sanctuary seats up to 400 with a fellowship hall and kitchen in the lower level. The building has on site parking for 82 with 6 handicap spaces. The main floor of the building has handicap access. Some of the classrooms are air conditioned. A church could have mid week services at the building.